She tells me about the religious, historic, economic, and social dynamics that interact to create ceramics’ unique identity and role in Old Thimi and Nepal. “Pottery in Nepal is totally on the outs. It’s caught up in the caste system,” she explains. The potter’s caste is indicated by the name “Prajapati.” The caste is considered low due to its close work with the earth. In addition, clay is more difficult to obtain than ever before, as potters must compete for resources with brick makers who seek the clay more and more as Kathmandu’s population burgeons. On top of this, demand for clay creations is on the decline as alternative materials such as plastics become more accessible. In spite of being a “low” tradecraft, ceramics have a strong traditional and spiritual place in Newali culture. Briana tells me of the many myths and legends surrounding pottery. There are even religious rituals in which pots are transformed into gods. The longing she feels to return to these people and the quickly changing world they inhabit is boldly obvious, and not just in her words. A sense of completeness emerges from her as she eagerly describes her months abroad. 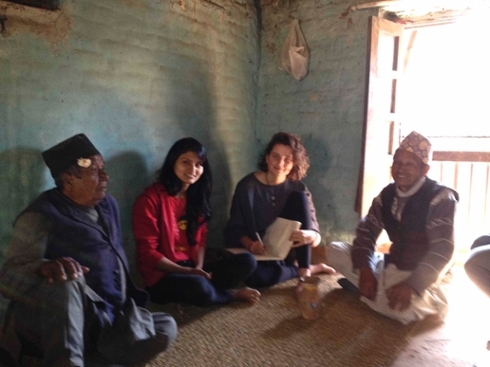 Briana says doing fieldwork in Kathmandu was very humbling and grounding, and made her realize how much she loved the reality of what she had studied theoretically in the classroom. There were noisy dogfights late into the night, horns honked nonstop, and the pollution was overwhelming and unavoidable. In fact, from the chaos and explicit reality of life in Nepal, Briana learned her most important lesson. Briana’s willingness not only to accept and experience the unpolished and the uncomfortable has taught her that true appreciation and respect for the world cannot be had without honestly admitting the gritty realities. In fact, awareness of the seeming ugliness is necessary to see an even fuller kind of beauty. 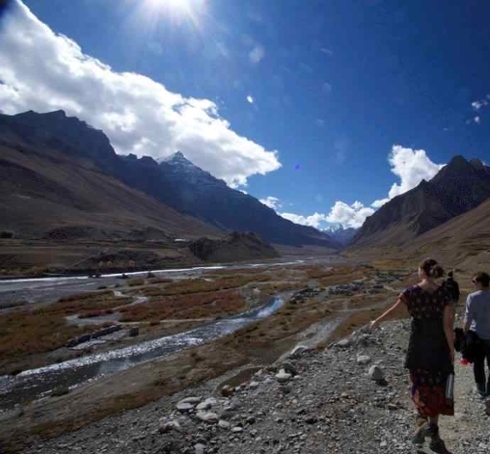 The longing she feels to return to the people of Old Thimi and the quickly changing world they inhabit is boldly obvious, and not just in her words. A sense of completeness emerges from her as she eagerly describes her months abroad. Briana is currently pursuing option to return to Nepal for the summer of 2014, and has plans to go back and work with the potters after she graduates.